For the last Tatted episode of the semester, Lindenlink News Editor and Social Media Manager, Madeline Raineri comes on to talk about her ink. When Raineri was 11-years-old, her dad got his first tattoo of a sacred heart. Raineri said she cried and hated it. Little did she know seven years later she would be asking her dad to take her to Threshold Body Art in St. Peters to get her first tattoo. Raineri’s life and her ink has been largely influenced by her best friend’s tragic death in high school. Through it all she carries messages like “surrender,” “but the fighter still remains” and “we’re all mad here,” on her skin as constant reminders. After her friend’s death, Raineri experienced depression and anxiety, stressing over her family and friends safety. Listen to hear more on Raineri processing the anger and questioning that comes with loss and her perspective on mental health issues. Tatted comes out every Thursday and will resume in January. This podcast does not reflect the opinions of Lindenlink staff or Lindenwood University. To Raineri, no one is normal. So when the Mad Hatter in the movie "Alice in Wonderland" declares his famous line "We're all mad here," naturally it resonated with Raineri. The tattoo is on her inner forearm and is her favorite tattoo so far. Raineri's childhood nickname isn't sweet or cheesy, it's "dragon." She said it is because her family has always recognized the feisty and fiery spirit within her. Raineri wanted to honor the nickname, but determined to get a simple match, instead of a dragon. A senior majoring in journalism, Raineri will be starting an internship at Fox 2, a local TV station in January. After her internship, Raineri said she is open to writing, tweeting or working for public relations in the future. Published April 9, 2015; 4:20 p.m. 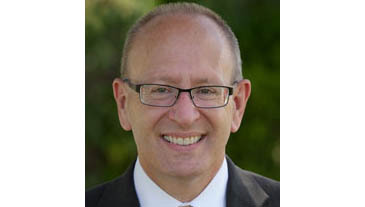 The president of Emporia State University will be Lindenwood University’s next president.